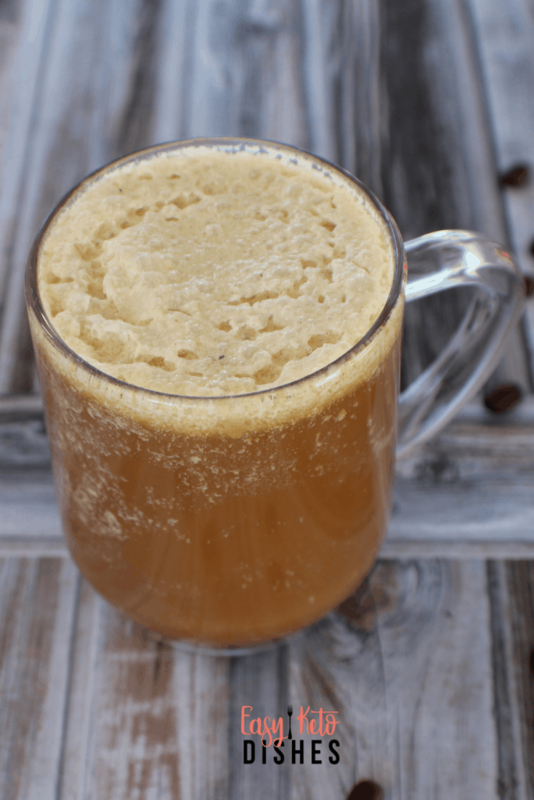 Rich and creamy bulletproof coffee is a great way to get going in the morning. Add these easy to make ahead buttermint coffee drops so you can grab your coffee and go! Back in the day, before I began Keto dieting, I lived at Starbucks. I needed the caffeine and sugar rush, especially in the morning. There were times I would get a second drink in the early afternoons as I crashed, too. I loved the frothy, creaminess of the coffee drinks. Besides the fact that they were full of sugar, and would totally spike my blood sugar out of control, they were total budget killers. When I added up how much hubby and I spent at Starbucks in just a week’s time, I nearly cried. It had to stop, immediately. We switched to making coffee at home. For many, coffee is a bitter drink. When it’s auto drip coffee, the filter can remove some of the oils that coffee naturally has. This can cause a lot of bitterness. French press coffee where you don’t use a filter can help reduce that bitterness. Another way to make coffee, which is our favorite, is by using an old fashioned percolator like this one here. It can take nearly 20 minutes for a pot of coffee to be ready, but it’s totally worth the wait. Percolating the coffee keeps the oils from the beans in the drink. The flavors are also allowed to develop more deeply than auto drip can give. This is the best way to make bulletproof coffee, in my opinion. Bulletproof coffee, in theory, should be made with special coffee, such as this here. However, I personally still use the coffee I get from the local store. I guess my budget is still reeling from the Starbucks addiction I previously had. 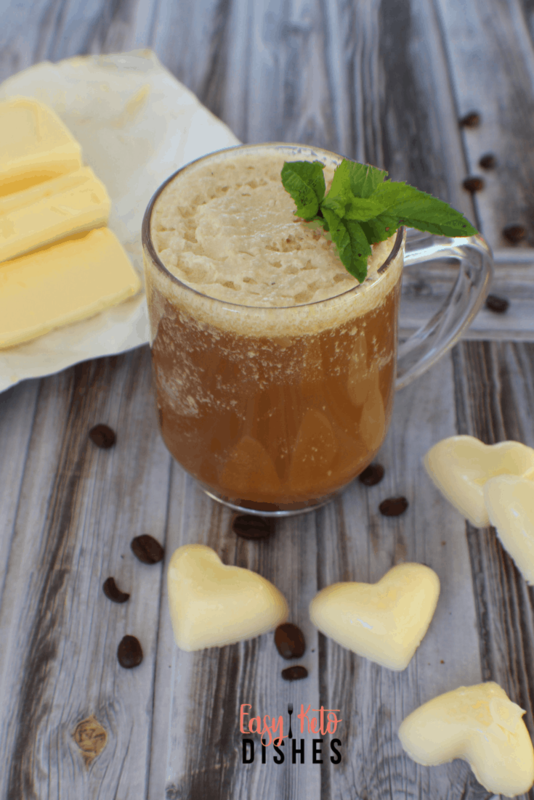 Bulletproof coffee is a favorite drink among many keto dieters. It’s basically brewed, buttered coffee, with grass-fed butter, MCT oils, brain octane oil, or coconut oil blended until smooth and creamy and frothy. 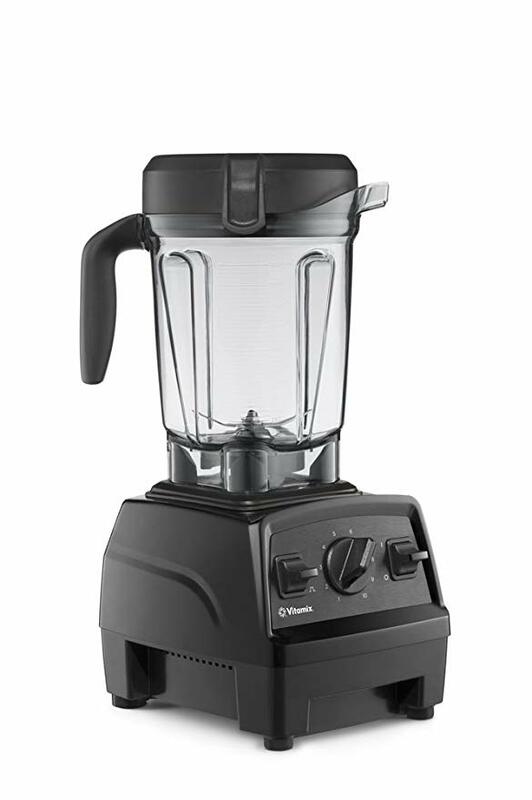 It’s a great way to get a dose of healthy fats that will keep you full in the morning. It has been said that it helps with cognitive function, keeping the brain going strong. Some feel they have more mental clarity when they drink bulletproof coffee daily. Some keto dieters use a bulletproof coffee as their breakfast, or to help ward off hunger when doing intermittent fasting. The objection to that is anything over 50 calories can break your fast and cause more hunger. Others disagree, saying that the fats keep them full and they don’t feel it breaks their fast. As always, listen to your own body and what it’s telling you. If you need to have a cup of bulletproof coffee WITH breakfast, then by all means, enjoy it with your eggs and avocado. This may also help if you experience heartburn or acid indigestion when you drink coffee, even bulletproof, on an empty stomach. So, what’s the issue with bulletproof coffee? The idea that you have to be functional before coffee in the mornings confuses me. Can anyone really do it? Or am I the only one that needs an IV most days to be able to fully open my eyes? Making these coffee drops ahead of time makes it so much easier for even hubby or the Frenchman to make bulletproof coffee. No more guessing as to “how much of what again?” that would normally go on in my house. Mornings are not our best time here, just sayin. Having butter mints coffee drops ready to go means that I can get the right amount of healthy fats in my bulletproof coffee without having to guess each time. I am a creature of habit and I love when things are consistent. This helps with both. No more “too much butter” (as if there could be a thing) or “too much coconut oil” in the hot beverage. It’s a great way to stay consistent. While I didn’t add any type of sweetener to these drops myself, you can always add your favorite sweetener when it’s in liquid form. Stevia, erythritol, or xylitol are great options to add. Just remember to keep track of them in your carb counts for the day. When using mint extract, choose a version with alcohol versus corn syrup. 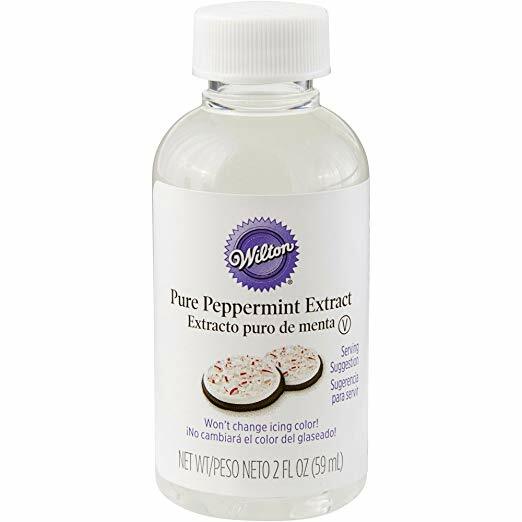 I like Watkin’s extracts because they do not contain any sugar in them. This is the one I used in this recipe, you can find it here. The best way to store these coffee drops is keeping them in the freezer. 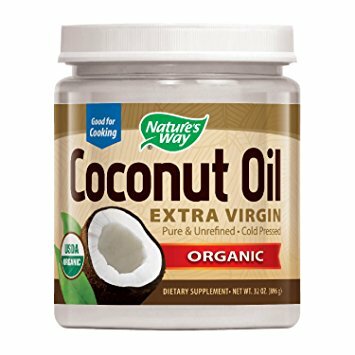 The coconut oil can melt at 76 degrees, and can make a mess. 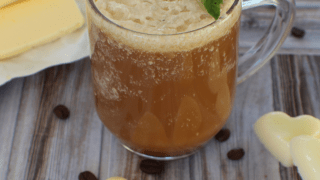 They will melt quickly with the hot coffee and whip into a beautiful, creamy drink. Do you make coffee drops? Will you try these for your next bulletproof coffee? Be sure to pin this for later, too! Melt the butter and coconut oil together over medium heat until just melted. Remove from heat and stir to cool slightly. Add the mint extract, stir to combine. Pour into a mini muffin pan (24 muffin size is what I used) and fill 3/4 full. To use, add 2 drops to a blender of 16 ounces of hot coffee.